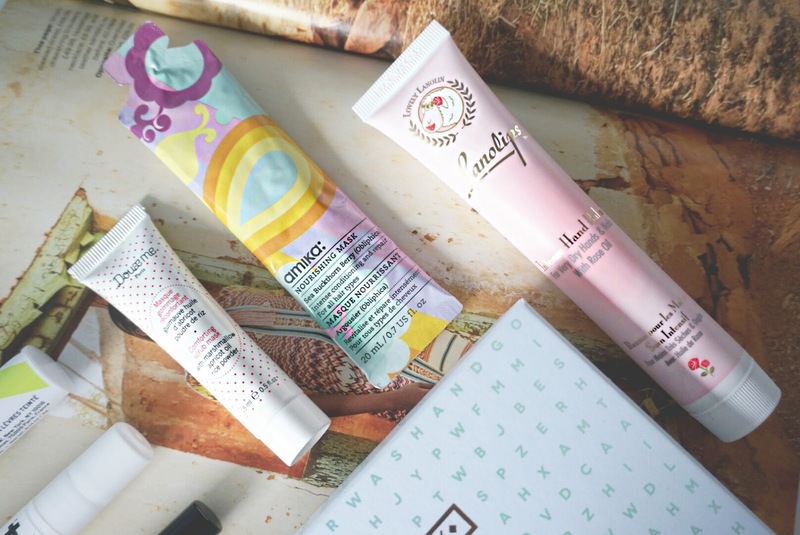 This month's Birchbox concept is 'Word Up' - to help 'us' find the ultimate discovery. I received 3 full fize products and 3 samples featuring products from haircare to make-up. Starting with the smaller sized items, Arrow Boost - Color Enhancing Lip Balm. It's one of them PH altering lip balms that changes colour depending on your lips, it reminds me of the Barry M version - this lip balm is also paraben-free, cruelty free and is a vegan brand from Birchbox. I received a sample size of the This Works pillow spray in sleep plus. I have heard many great things about this product, it has a lovely lavender scent and I can;t wait to use this when I feel like I have Insomnia. I've recieved the Modelco More Brows before and I happen to love it, I've forgotten about it with the amount of other eyebrow products I have, can't wait to start using this again. Next up, I received the Doux me - Comforting Face Mask & Exfoliator. I haven't heard of this brand before - bur the product contains apricot oil, chamomile and marshmallow extracts. If used as a mask you apply a thin layer and leave for 7 to 10 minutes, as an exfoliator you massage onto damp skin in circular motions and rinse away - this is suitable for sensitive skin. For haircare, I received the Amika Nourishing Mask which helps to seal split ends and fight dryness. The product contains buckthorn berry and jojoba oil to soften strands and repair damaged hair. Lastly a full size hand cream by Lanolips - Rose Balm Intense which is formulated for dry hands and nails. The lotion contains medical-grade lanolin, shea butter, cocoa seed butter, rose oil and Vitamin E for a intense deep moisturise. I have loads of hand creams and I only find certain ones that actually so what they say, can't wait to try this out once I finish out my existing one. 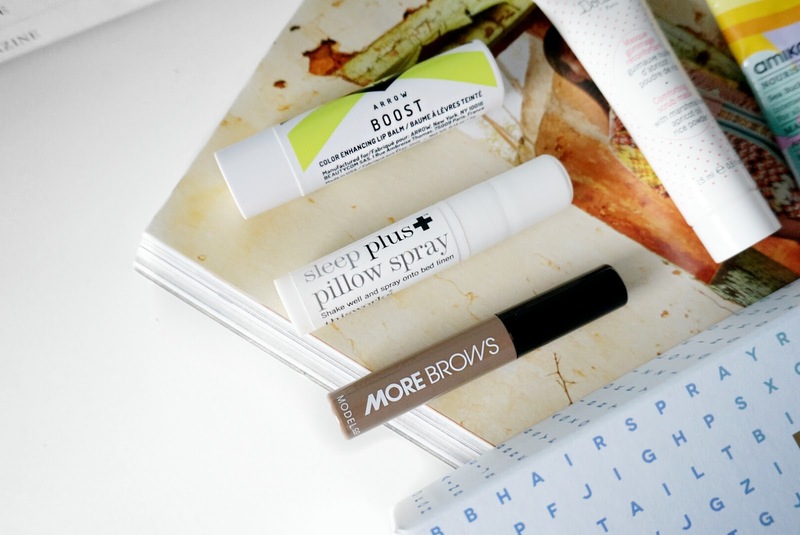 I really want to try out the pillow spray as I have so many issues with my sleep. 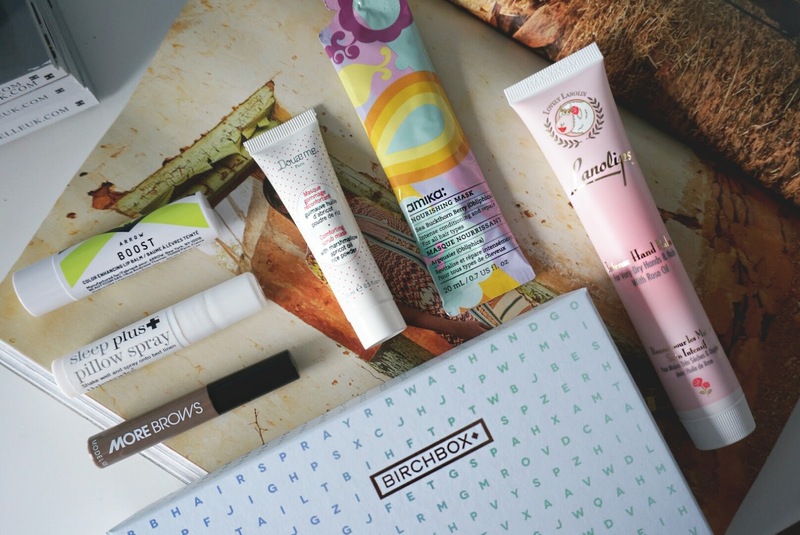 I cancelled my Birchbox recently, but this does look like it would be a fab box to receive! I absolutely love the pillow spray you got here, and the Boost colour changing balm sounds great!